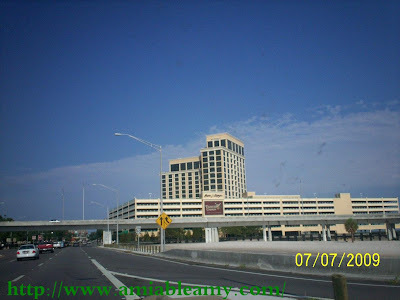 This is my favorite Hotel and Casino in Biloxi, Mississippi along the Gulf Coast. I took the picture when we were heading towards Ocean Springs, Mississippi. The bridge is the exit and entrance of US Highway I-10. Despite the grand look of the Casinos in this city, all the houses and buildings on the left side of this area were still the same after Katrina. Nevertheless, the place is moving on but the people are not coming back to live near the beach. There were no buyers of the property too. Only big hotel corporations are interested to buy the land near the coast line and the adjacent property.